One of our most imaginative writers and artists explores the visitations that haunt us in the midst of life, and reinvents the very way we narrate experience. A tennis prodigy collapses after his wins, crediting them to an invisible, not entirely benevolent presence. A series of ghosts appear at their former bedsides, some distraught, some fascinated, to witness their unfamiliar occupants. A woman returns from a visit to Alcatraz with an uncomfortable feeling. The spirit of a prisoner has attached himself to you, a friend tells her. He sensed the sympathy you had for those men. In more than two dozen stories and vignettes, accompanied by an evocative curiosity cabinet of artifacts and images, Guestbook beckons us through the glimmering, unsettling evidence that marks our paths in life. Leanne Shapton is an artist and author of several books, including Swimming Studies (winner of the 2012 National Book Critics Circle Award for Autobiography), Important Artifacts and Personal Property from the Collection of Lenore Doolan and Harold Morris, and a coauthor of the New York Times-bestselling Women in Clothes. She is also the cofounder of J&L Books, a nonprofit publisher of art and photography books. She lives in New York City. “’Ghost’ is a good word for all the nameless longing that doesn’t get resolved in this lifetime. Shapton has created a mystical territory — a performance, an exhibition, a guestbook — in which I felt the ghost within myself; the thing that will outlive me. A fearless and exquisite book." 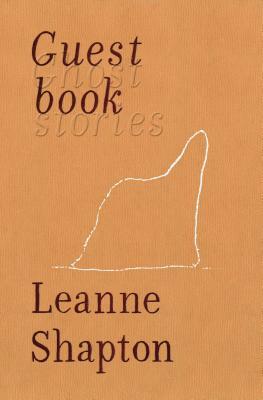 “Leanne Shapton has a way of making books entirely new, surreal, and uncanny, always experimenting with the ways image and text can be mixed to tell new stories, in new ways. Guestbook is a delicious haunting and leaves one with a chill of recognition for how we live as ghosts in this distant, distracted, and image-obsessed time.” – Sheila Heti, Motherhood and How Should a Person Be?